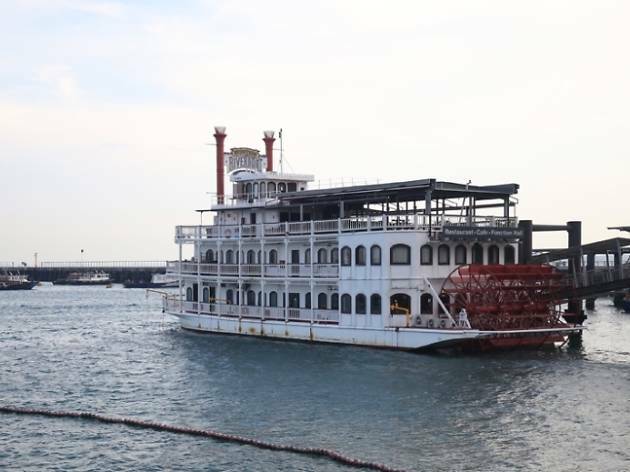 This riverboat comes in the form of a three-decked, non-motorized replica of the Mississippi steam boats of the 1800's. For a quick escape from the city's hustle and bustle, travel back in time by dining in the quaint boat location, that houses Santa Fe Tex-Mex Grill and Wood & Steel Gastrobar. If the weather allows, try dining at the rooftop deck to enjoy a cool sea breeze with your meal.